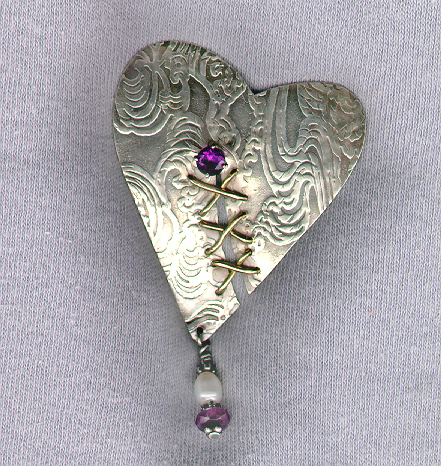 Sterling broken heart with 14k gold stitching and amethyst solitaire. A faceted amethyst bead and pearl drop finish it off. Comes with a detachable bail so it can be worn as a necklace.